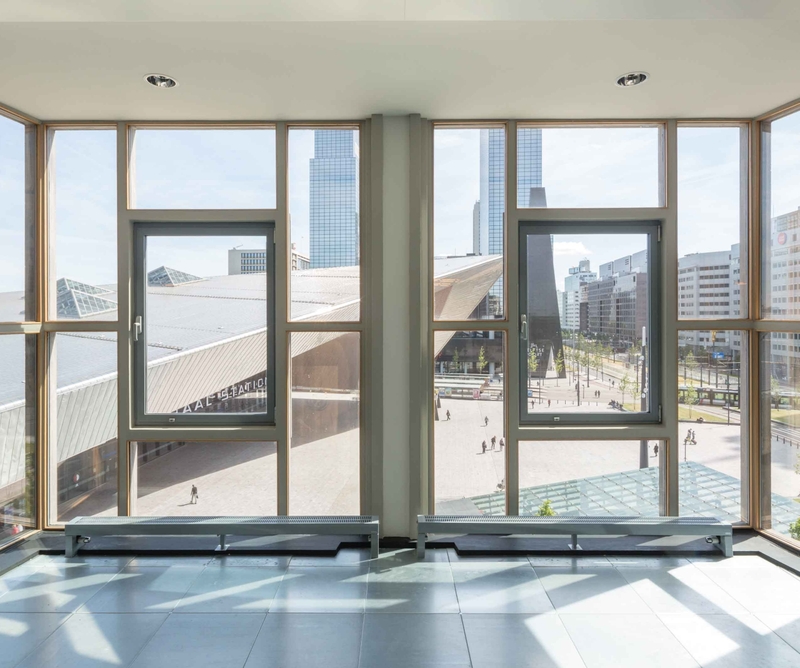 This office space is situated at the 7th floor of the Groot Handelsgebouw. If you are looking for a modern fitout, this is the place for you. Please contact us for a viewing. Are you interested in a viewing or would you like further information? Call +31 (0)10 240 34 34 or contact us by mail and we plan a meeting as soon as possible. Take a look at our overview page for other options. Please contact us for an up to date overview of our available spaces or request a spot on our waiting list. Mail info@ghg.nl or call +31 (0)10 240 34 34.